The bright yellow, sometimes red or green button with the embossed text, the little circular swoosh around it, this one even has an extra little underline and a Click on it! And 9 times out of 10 when I ask them why they chose that button for their call to action they reply with, I searched for a button on Google and I liked this one “everyone is using it”. Usually, the first thing I do is channel my mom and say well “if all your friends jumped off a bridge would you?” and then I check myself and try to explain about the issue of banner blindness. Just what is banner blindness? Banner blindness is a term that evolved along with banner advertising in the late 90s thru now. Humans, most of us are human after all, tend to only notice things that are out of place. 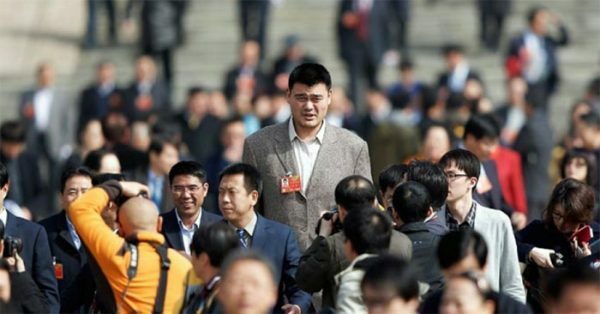 A perfectly straight line in the forest, Yao Ming in a crowd, or a cat in a fishbowl. Banner blindness came about because so many websites use the same size banner ads in the same locations. Over time you train yourself to simply ignore them. You never click on them and they rarely show you anything you are really interested in, so you stop seeing them. So, how do you build a great call to action? I know I said that you shouldn’t copy what everyone else is doing, and you shouldn’t, at least not without a great reason. When you start looking at everyone else’s website you will start to see that most of them look very similar. At this point, it’s a real coin toss whether that style works or not. Is it popular because it works or is it popular because people are generally lazy when it comes to design. I lean towards lazy whenever there is a choice. You’ve heard the old saying unless you are the lead dog the view never changes. That holds true for just about everything in life. It is hard to pass your competitors by simply copying them. Change the colors, change the shape, change the location, change everything. Use that as your starting point. Yes, split testing is work. That’s why there are people like me that specialize in it. We like numbers. We like making little changes just to see what happens. And then making more little changes. But unless call to action is tested you will never know if what you are doing is really the best solution for you and your website, or if you are just stuck following the rest of the herd to the latest new design idea that will be worn out in a few weeks after someone like me writes a blog post about how this great new idea increased conversions 187%. Call to Action and Conversion improvement is a never-ending game. The results can change dramatically based on the audience, is this warm traffic that already knows your brand or new cold traffic that you got from a pay per click ad campaign? The time of year could play a factor, the fashion industry knows that the time to start selling for spring is in the dead of winter, if you want till spring you will lose. You need to test everything, keep track of the results, and test some more. Overwhelmed with where to start? Let me give you a few tips for improving your call to action. Most eCommerce templates are carefully designed to have a beautifully coordinated color scheme. That includes the Add to Cart button. Change it. Make it a bold, contrasting color to your current scheme. Change the shape of the button. Big rectangles are popular and what most people expect to see. Try other shapes, squares, circles, add a cute dog to the button. Change up the text. Instead of Add to Cart or Subscribe Now try Buy Now or Join Us! Make the Call to Action more direct, and make it active rather than passive. Are you ready to start testing your Call to Action? Let me leave you with a small math lesson. Assume you get 100,000 people to your website every month and you have a conversion rate of 1%. That gives you 1,000 new customers, subscribers or fans every month. A great number to be sure. If you increase your conversion rate to just 1.5%, that’s just one half of one percent, you now have 500 more customers, subscribers, and fans. To get that same result without improving your conversion rate you need to send another 50,000 people a month to your website. Which do you think is easier to do, drive 50,000 more real visitors to your website or tweak your Call to Action?